Saba Candari, CWS® | Markland Wealth Management, Inc.
Saba is a CERTIFIED WEALTH STRATEGIST® professional who has been in the Financial Service industry since 2010. He began his career in finance in the Private Equity sector helping entrepreneurs develop and structure their startup companies. 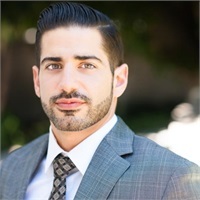 He brings that unique background of working with small businesses and young entrepreneurs with him to Markland Wealth Management Inc. Saba also has years of experience in comprehensive financial planning.